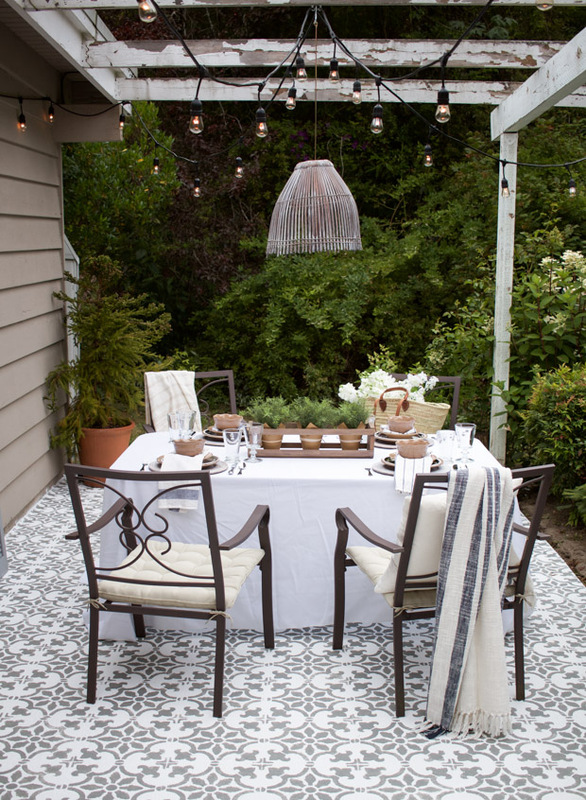 How often do you decorate your patio? Moving towards winter, its easy to ignore your patio. 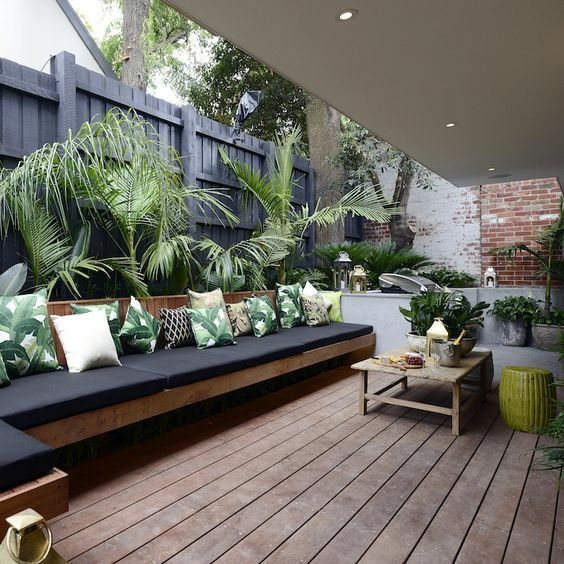 In fact, when it comes to decorating, its easy to neglect the outdoors; even though patios, porches and verandas take a regular beating from the elements. Outdoor upgrades can mean a big investment in time and money. But that's not always the case. With quality materials and simple changes, you can give your patio area a fresh look without breaking the bank. Here's a great way of bringing in color and texture by using a vertical garden. Create a grand front door entry using artificial planters that need little maintenance through out the year. The fastest way to decorate with immediate results and great impact is with color. You can change the whole look of your patio by introducing different colors and shades. Bright colors like yellow, orange, red and even purple can give your patio an instant energy boost. This short video shows you how to add color in stages. It makes sense to use washable patio covers, and what about reversible covers for different seasons? Stencil the floor, here are tutorials for concrete or wood stenciling for amazing results. 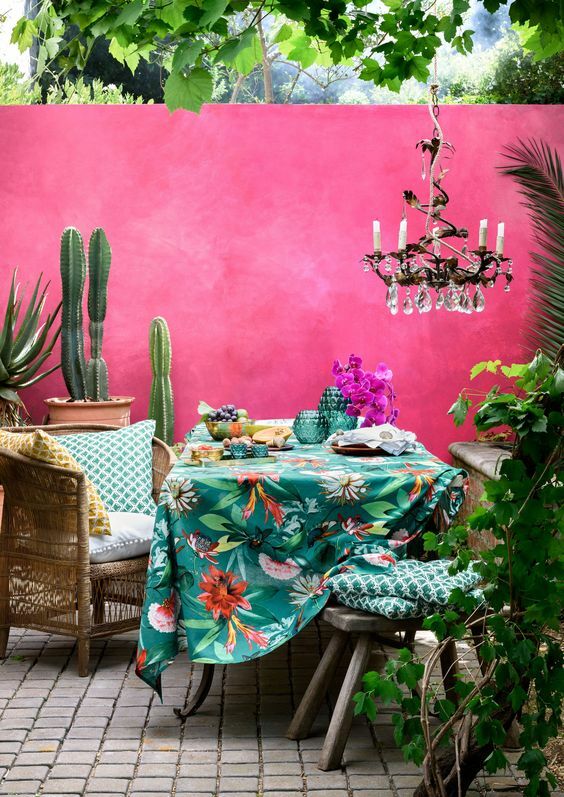 Limit the number of colors you use to decorate your patio so it doesn't look like a rainbow. Sprinkle your chosen colors in garden flowers, furniture, umbrellas, throws and pots. 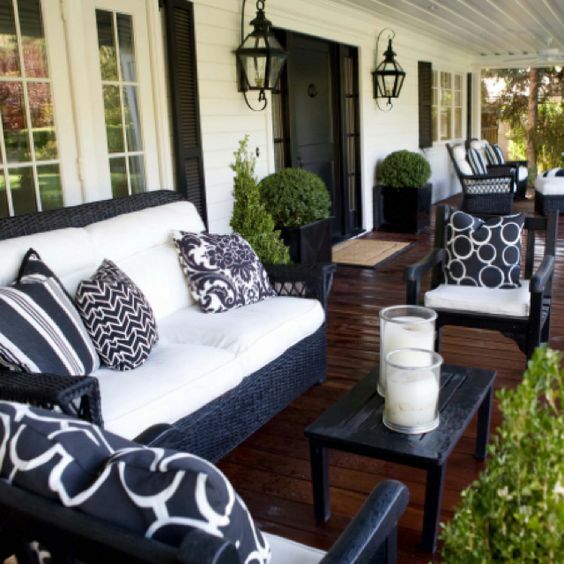 One of the best materials to decorate your patio with is wood. 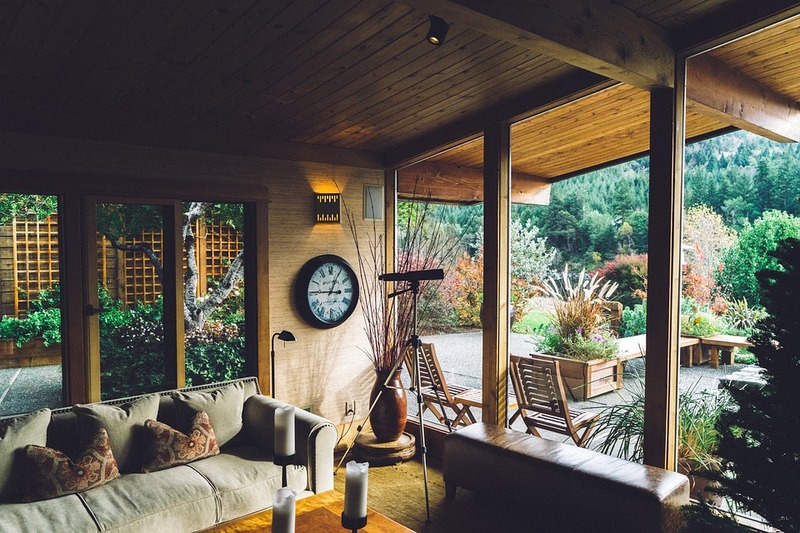 If you have a garden with lots of greenery around your house, wood is a great main feature. This is a timeless classic look, that won't date. 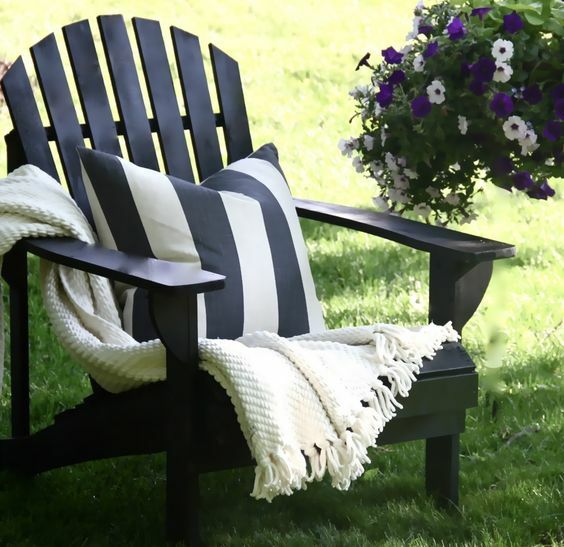 There are lots of different styles you can use from rustic, country, French, mid-century, Balinese or classic adirondack chairs. 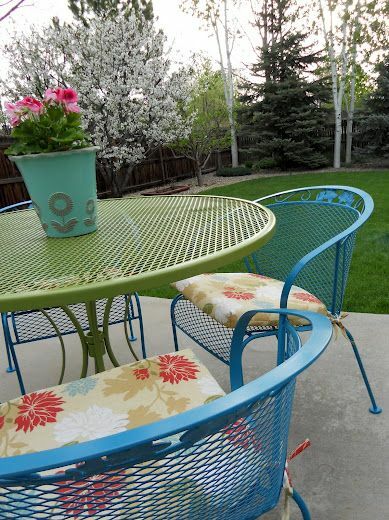 If you like to protect your chairs, during fall and winter, consider using chair covers. There's a wide range of covers for stacked chairs, tables, and individual chairs. 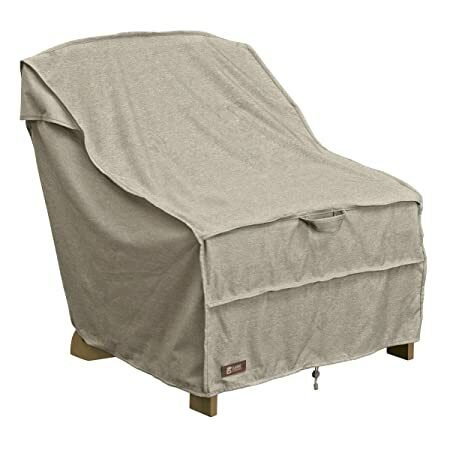 There are also deck chair covers, barbecue covers and more like this heavy duty chair cover with a waterproof backing. Contrasting wood tones on you lawn or patio, creates a luxurious, serene feeling without breaking the bank. A simple, quick hack that can turn your patio into art work is to cover surrounding fences. 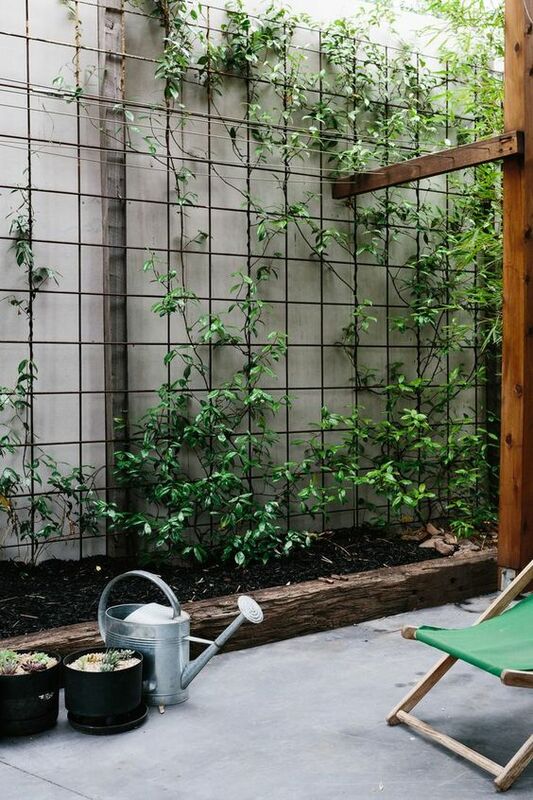 Whether you add vertical plants (an easy tip is to place plants in painted cans and nail to the fence) or runners up a patterned trellis, you can create something beautiful in a few months if not weeks. Paint your fence all one color, add artificial grass or create a fresco with left over paint. For the best result, plan it first, layering each element; background paint color, greenery, rug, seating, tables, lighting as you need them. 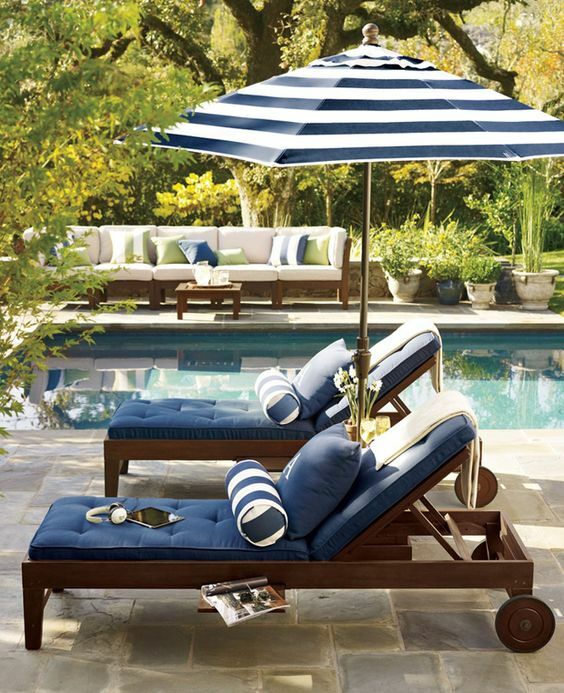 If you have patio furniture that looks just a little tired, it could be time for a little makeover. You can quickly paint wood or plastic pieces and add cushions. Tricky pieces like plastic chairs can be easily painted using Chalk Paints like Annie Sloan, that need no prep or sanding. Milk paint or stain works beautifully for old wooden pieces. As long as they are in reasonable condition, you are good to go. 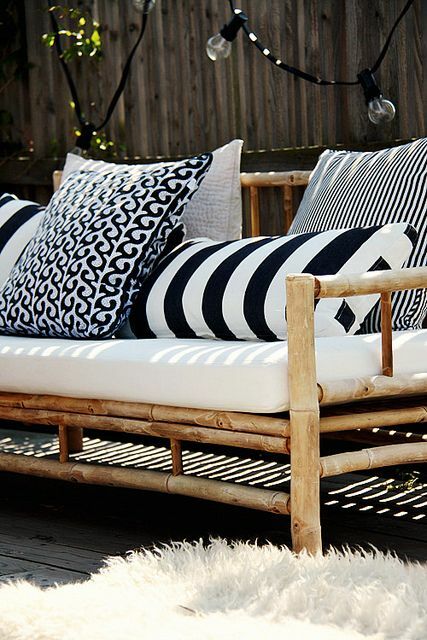 Make or buy cushions to go with your patio furniture. 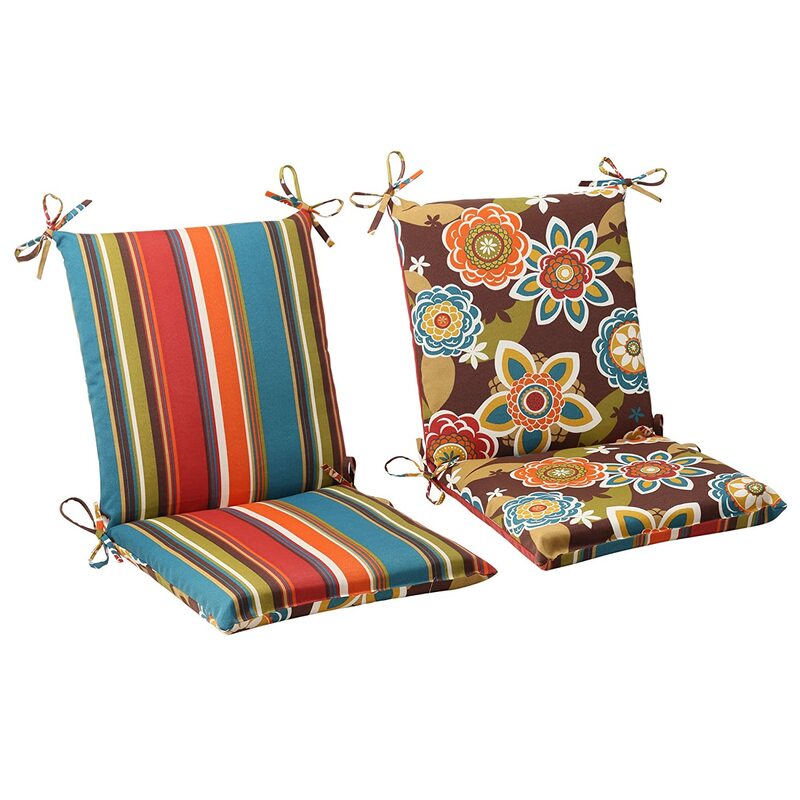 If you love something with comfort add backrest pillows with arms for added comfort. 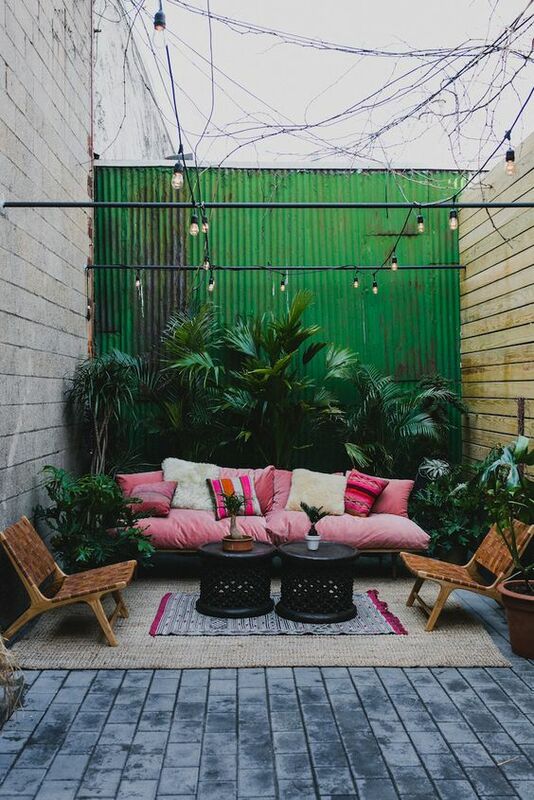 String lights, bistro lights, like bunting can turn your patio into a cozy corner without too much fuss or expense. These lights will not only give your patio a cozier feel, but the soft strings of lights are easier to look at. Why not add curtains to your patio? This will keep the cold, wind and rain away and keep you warm and cozy. 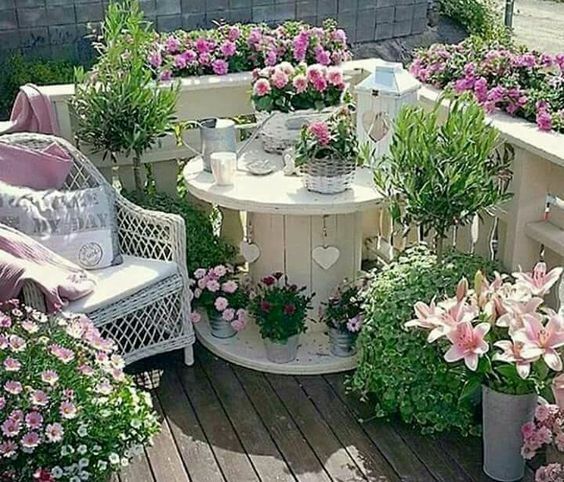 If you are low on the budget but feel your patio is looking rather bland and boring, these 5 tips should help you decorate your patio and create a miniature fairy garden. It adds to your curb appeal and is one of the quickest ways to add beauty to patios and sidewalks.